There’s a lot to discuss when it comes to headlight selection. Not only between the different technologies, but within each technology as well. When considering replacement halogen bulbs, the PIAA Xtreme White Plus has been at the top of the premium spectrum for a long time. In this review we dig down a bit to try determine why it’s so successful. 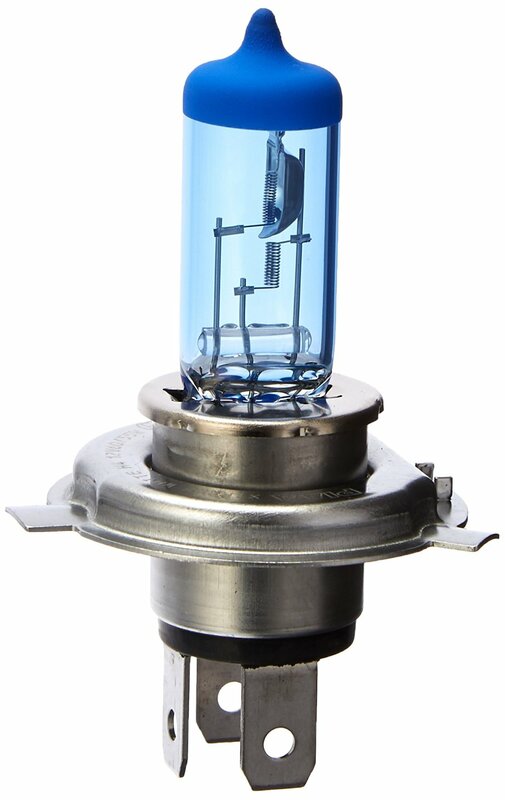 The PIAA Xtreme White Plus is a direct replacement, high performance halogen headlight bulb. The bulb puts out a bright white light with a color temperature of 4,000K. This improves visibility while a blue topcoat adds an element of style to your headlights. The white light further gives better color recognition, improves depth perception and contrast over stock supplied headlights. The bulbs make use of heat-resistant quartz glass for an extended life. This along with the use of aerospace alloy filaments, ensures a durable, long lasting product. PIAA make use of their proprietary XTRA technology to increase the light output of their bulbs. 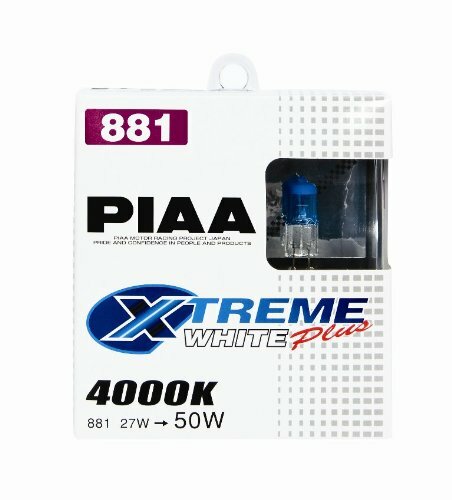 PIAA’s Xtreme White Plus light bulbs are not cheap. At $54.90 for a pack of two H4 bulbs, they are roughly 50% more expensive than the top of the range products from Philips, Sylvania or GE. They come with a 1-year warranty, and claim to be the product with the longest life. PIAA is an American company that was founded in 1963. Since then they have committed themselves to manufacturing the best lights for the automotive industry. Initially focusing their efforts on headlights, they have branched out to fog lights and high performance replacement bulbs. More recently they have made many developments in the LED and Xenon area. PIAA is the brand of choice for the automotive racing industry, where their products are commended for being reliable. They not only manufacture bulbs, but also full enclosures. All of which is engineered to perform in all conditions, and make driving as safe as possible. PIAA claim that their bulbs provide 110W of light, but only draw 60W. How can this be? A few decades ago, light bulb brightness was based directly on the power rating of the light bulb and this rating related to how much power the light bulb actually drew. However, halogen light bulbs only have an overall luminous efficiency of around 2-3%. Luminous efficiency refers to the amount of light power emitted, compared to how much power the lamp actually draws. As lighting technology developed, the bulbs still only drew 60W of power, but were much more efficient. This resulted in them putting out more light than the older bulbs. So what PIAA are saying is that their light bulb puts out an amount of light that is equal to what standard halogen lamps would output if they were rated at 110W. It’s an interesting claim, and hard to corroborate, but the bulbs definitely do put out more light than previous generation 60W light bulbs. PIAA also offer their bulbs in a hi/lo form. These bulbs are rated at 60/55W, equating, in their words, to 110/100W. Most manufacturers don’t provide figures to compare their brightness like PIAA do. Usually just the power draw of a light bulb is provided. All PIAA halogen headlight replacement bulbs are DOT/SAE compliant, which means you don’t need to worry about being pulled over by the cops. At $55 for a twin pack, the PIAA Xtreme White Plus bulbs don’t have a lot of competition in the halogen range. If you do an Amazon search for light bulbs in the $45-$65 price range, looking for H4 size bulbs, you only get a list of HID and LED replacement parts. No halogens. All of these products are around $35, and offer similar promises to PIAA with regards to brighter light. If you look through reviews of the competition’s products, you will come across similar comments and rating formats. There are many reviewers who will praise the product. Claiming how much brighter it is than their previous headlights. There are those who thought they were so great, they’ve replaced all the lights in all their cars with that brand after their first experience. Then you read a series of reviews complaining that the products are over-priced, or that they don’t shine any brighter than the lights the consumer originally had in. And for every product you can find someone claiming it is better than the competitor. Then you can go to the competitor’s page and find a comment by another person claiming the exact opposite. The best we can do is try view the ratings of each product relative to each other. Take into account what percentage of complaints are for failing headlights and what percentage of the total are praise for the product. And from this come to some kind of conclusion. From making these comparisons, it’s hard to understand how PIAA are able to compete when their product is so much more expensive than the others. Their product rating is almost identical to both the Philips and Sylvania products. It may be an aspect of people recognizing a more expensive product and assuming, as a result, that it must be better. But there is little to support this. The bulbs come nicely packaged in a plastic encased twin-pack, with cardboard outer shell for marketing and instructions. Installation is as straightforward as your car allows, being a simple screw in replacement for your original bulbs. Whatever type of bulb you own, PIAA have the equivalent, and there should be no perceptible size difference between what you had and what you install. After you’ve installed your new PIAA light bulbs, head to PIAA’s website and go to their Light Aiming Guide page. It’s a simple diagram that explains how you can measure and adjust your headlights to ensure that they are pointing at the correct height. Park your car on a level surface, with the lights pointed perpendicularly to a vertical surface about 25 feet away. Measure the distance from the ground to the centre of your headlamps, and measure the same distance on the wall from the ground. The centre of the light cast by your headlamp should be about 1.5 inches below the mark you made. This means that your headlamps will be pointed ever so slightly to the ground, ensuring you don’t blind oncoming traffic. They also offer setup instructions for fog lights if that interests you. YouTube user klanderud1 performed a claimed direct comparison between the PIAA Xtreme White Plus and the Sylvania SilverStar Ultras. In his review he claims the PIAA’s are far brighter than the Sylvanias. Having watched the video, I can’t come to the same conclusion, they are certainly whiter, but I wouldn’t say brighter. Further to this he is comparing a brand new PIAA bulb to a Sylvania bulb that is a year old. Regardless of the brand, halogen lights do get dimmer with time. The US non-profit organization Consumer Reports even go so far as to recommend the changing of one’s light bulbs every two years, and not waiting for them to stop working before replacing. Much like the competition, the PIAA suffers from a string of complaints regarding lifetime. In a similar manner, PIAAs 1-year warranty seems just long enough to cover 95% of products, allowing them to fail in the next year. This is not the case for all users however, and there are many people who claim longer lifespans. But a significant portion of reviewers peg the PIAAs to last in the order of 18months. Many people accept this as being par for the course and are still happy to purchase these bulbs for their other benefits. If you have suffered from what you consider early failing of light bulbs on a repeated basis, regardless of manufacturer, it may be worth your while to browse PIAA’s FAQ. They list a number of reasons your bulbs may be failing, relating to how the bulbs are wired to your car. PIAA have several other cool things on their website. For instance, if you’re really a big fan of PIAA, you can send them a self-addressed, postage-paid envelope, and they will send you back some PIAA branded stickers that you can place on your vehicle. To start with we’re going to talk a bit about the never ending Halogen – LED – HID battle. Why would we put all this effort into reviewing halogen light bulbs, when there are a slew of LED and HID bulbs out there which outshine the halogens. And they do. If you have lighting fixtures designed for LEDs or HIDs, it will be a brighter light and will provide you with better visibility. The problem is people want to install LEDs and HIDs into their cars whose headlights were designed for halogens. So they buy a kit, install it and expect it to work perfectly, and are disappointed by the result. As such you often find that halogens can outshine LED or HID replacement kit bulbs, because they perform better in an enclosure designed for halogen bulbs. But finding objective reviews and comparisons for these products is extremely difficult. Even trying to decide how you want to measure the brightness of the bulbs is an area of dispute. LED products regularly release values for their brightness measured in lumens, and this is a fair method to measure brightness. To measure lumens, you need special measuring apparatus. For light bulbs this consists of a large sphere with an internal reflective surface. A light is shone into this sphere which has photocells that measure the total light. But light works slightly differently in the real world. If the light emitted by your LED light isn’t shining where you want it to go, it doesn’t matter how bright it is. Comparing different products is further compounded by the fact that most halogen and HID manufacturers do not supply lumen ratings for their products. When you look at customer reviews of high performance halogen lights, people complain about the life of the product. When you look at customer reviews of LED and HID kits, people complain that the light distribution is poor, or the bulb doesn’t fit properly. There is a disparity in the expectations people have of different lights. However, neither of these groups are complaining about the brightness of their lights. Along with this is the fact that halogen lights still come DOT and SAE certified, meaning you don’t have to worry about the legality of them. LED and HID kits skirt the edge of legality. Suppliers generally don’t comment on certification, or just claim that they’re only to be used for off-road lighting. And the main reason for this is that replacing a light bulb in an enclosure designed for halogen bulbs, with an LED or HID kit may not work straight off the bat. As such, the market for replacement halogen bulbs is still very large. Most of the big manufacturers all have a range of products they sell in the halogen space, pricing them to match their alleged performance. 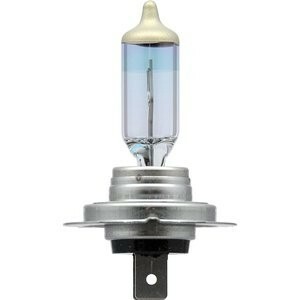 If your car has stock halogen lights, then it’s a good idea to replace them with a high-performance halogen light bulb. Be aware that they may only last 1-2 years before requiring replacement. However, the improved lighting they provide is enough of a benefit that one should undertake this. Choosing which light bulb is perhaps the harder question to answer. While PIAA make a lot of amazing aftermarket products, this one is nothing special. It is a good quality, bright halogen bulb, that is whiter than stock halogen bulbs, but the price does not warrant the product. While direct brightness comparisons to competitor light bulbs are difficult to achieve, all review feedback points to the fact that these are not noticeably brighter than their competitor’s products. Costing $20 dollars more than their competing products, this review of the PIAA Xtreme White Plus concludes with the recommendation of rather saving your money and purchasing a set of Philips.